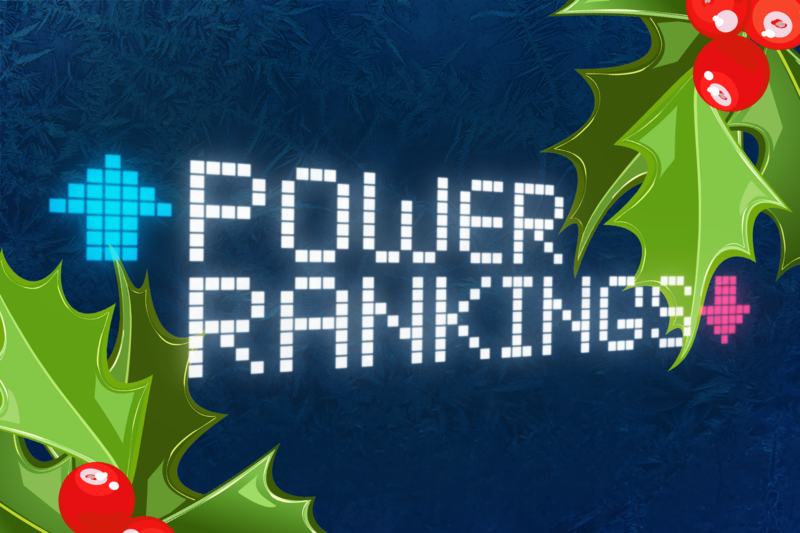 Power Rankings: Week 11 Holiday Edition - The Point Data-driven hockey storytelling that gets right to the point. 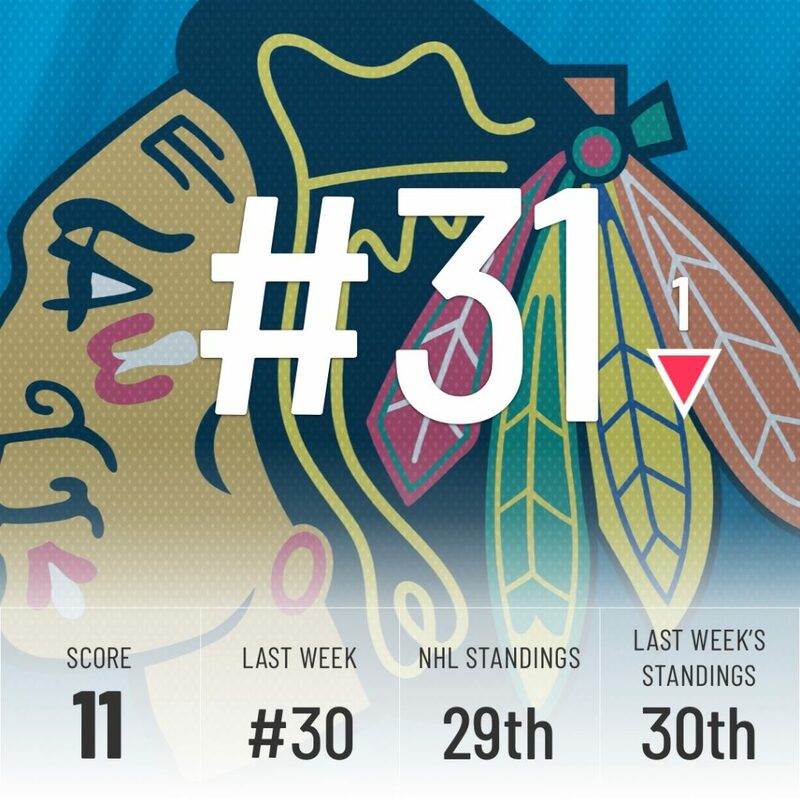 It’s Friday and that means it’s time for our weekly Power Rankings. Using multiple variables we score teams out of 100 and rank them accordingly so you know who the contenders are, who the pretenders are and which way teams are trending. Forget polling a bunch of people, our scientific approach will have you impressing your friends when you tell them who’s moving up and who’s destined to fall. And with Christmas coming up, we added a little holiday cheer and proposed a gift for each team. Whether Santa delivers or not is out of our control, but here’s what each team hopes to find under the tree on Christmas morning. This core doesn’t need much help. They have a Vezina goaltender and plenty of depth and star power on both offense and defense. But this core is about to get expensive and it might be the last year this team has this much depth. 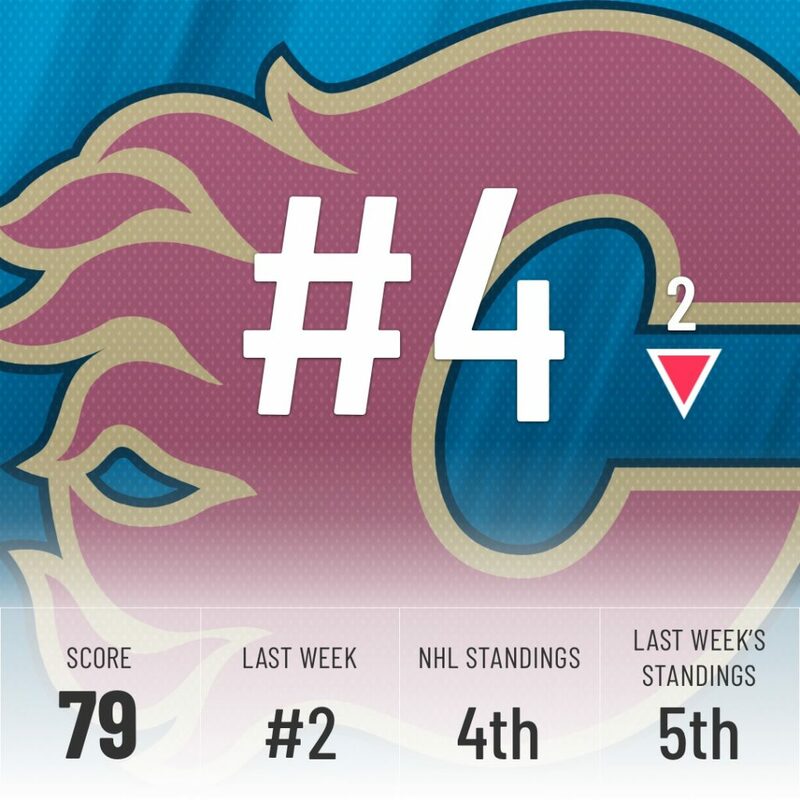 They’ve already reached the Finals before and are a consensus top-5 team in the NHL, if not top-3. All they really need is to finally win the Stanley Cup. A right-shot defenseman. Toronto’s defense isn’t bad, in fact, they’re allowing the 4th-fewest goals against on the year. There is still a need for a top-4 right-shot defenseman, however. It would allow Ron Hainsey to play on the third pairing as opposed to the top pair with Morgan Rielly and give them a stronger and more balanced defense. It would also stop people from saying they need a right-handed defenseman, which is a bonus. The Sharks made major moves in the offseason that had people expecting they would be one of the absolute best in the league. 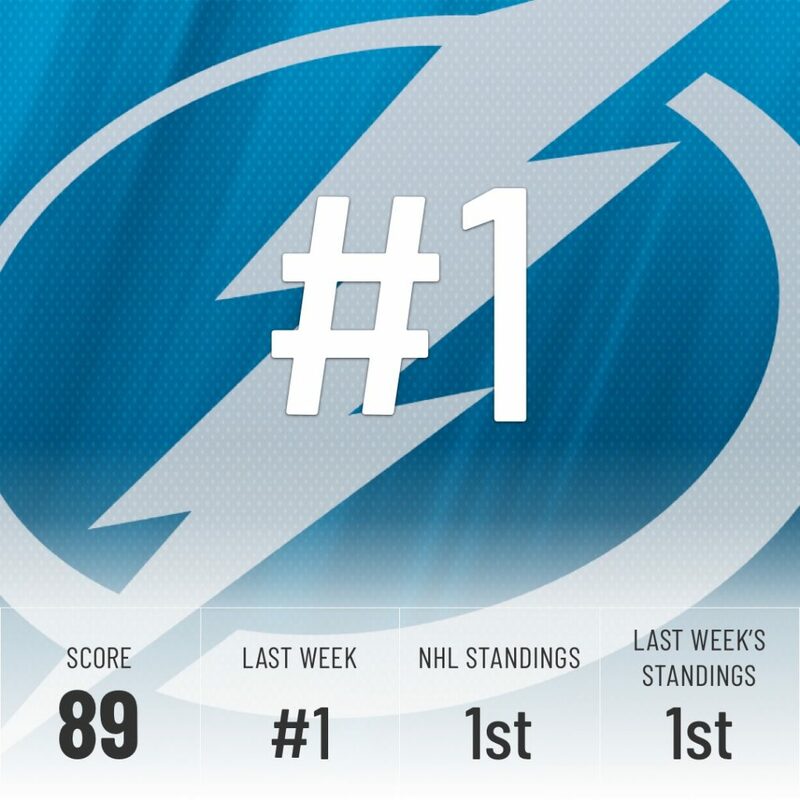 The Super Computer believes they are a top-3 team, but they’re currently closer to a wildcard spot than the top of their division and are 9th in the standings. Good, but definitely not elite yet. 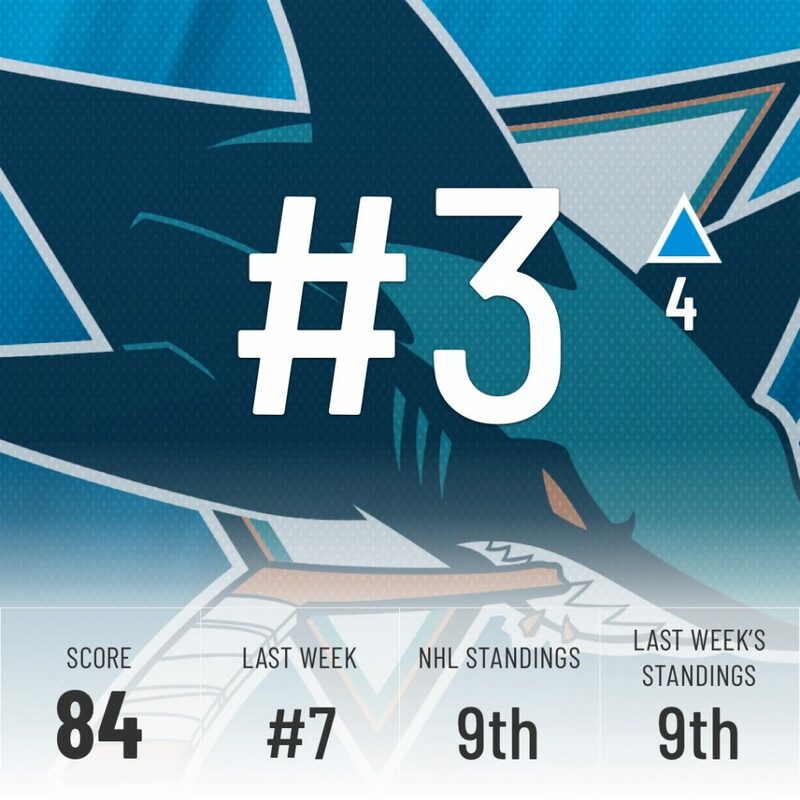 So, for the Holidays, we offer the Sharks a ladder, to finally climb into the elite tier in the NHL and reach the lofty expectations placed on them when they acquired Erik Karlsson. We’ve already given a quarter-mark Norris to the veteran blueliner here at The Point and since then he has done nothing to prove us wrong. He’s the third-highest scoring defenseman in the NHL and playing stout defense for a great Calgary team. A Norris would be a great add to a long and successful career for the Flames captain. 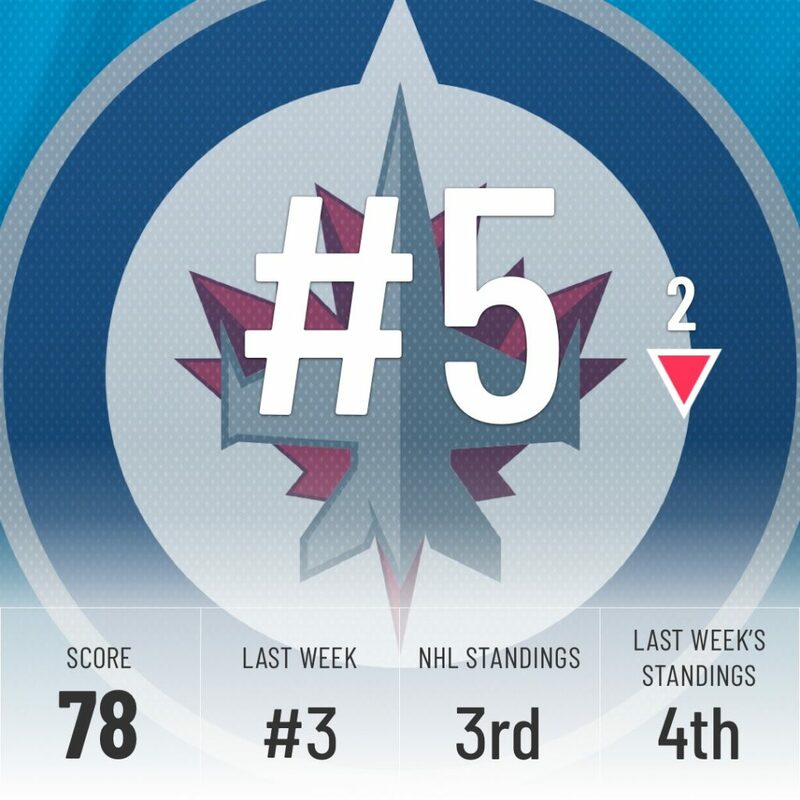 The Jets are loaded with talent but, like the Leafs, many of their top players like Patrick Laine and Kyle Connor are in line for massive extensions. 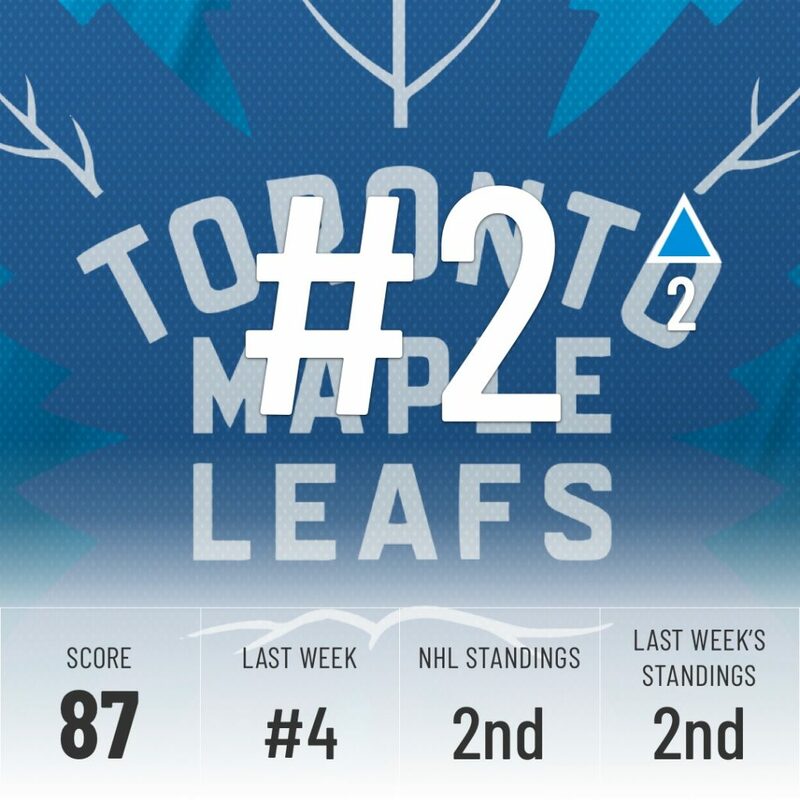 GM Kevin Cheveldayoff has to hope the Christmas spirit will rub off on his stars and they will accept to leave some money on the table for the good of the team and not pull a Nylander. 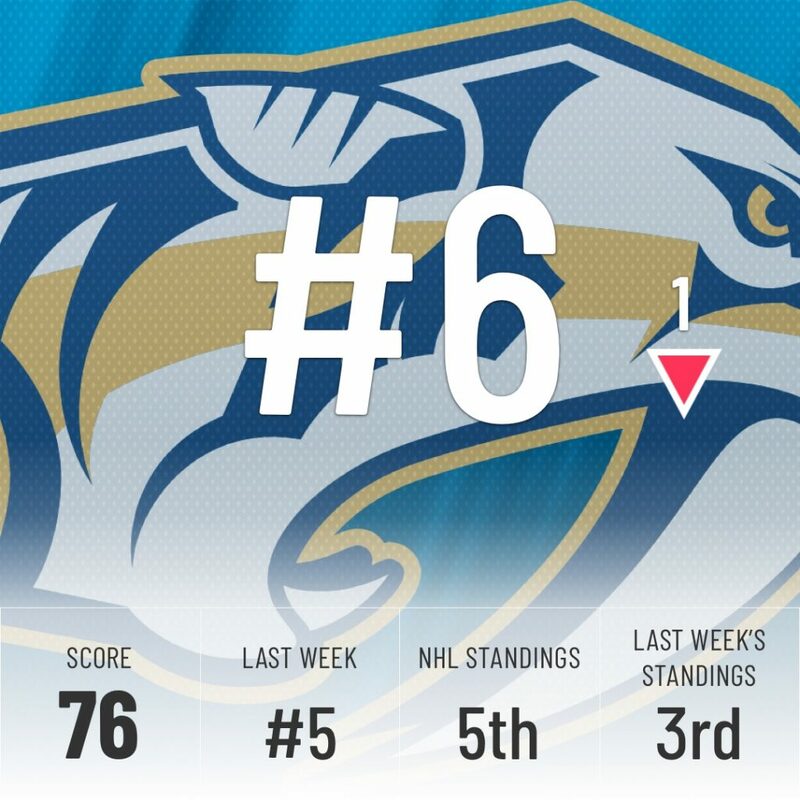 Nashville was the top team in our rankings for a while, but they’ve fallen off a bit lately, in no small part due to their injuries. P.K. Subban, Matthias Ekholm, Filip Forsberg, Victor Arvidsson, and Colton Sission are all currently on the mend and Kyle Turris missed some time too. That’s a lot of production missing from the lineup. Better health has to be on top of their wishlist for 2019. 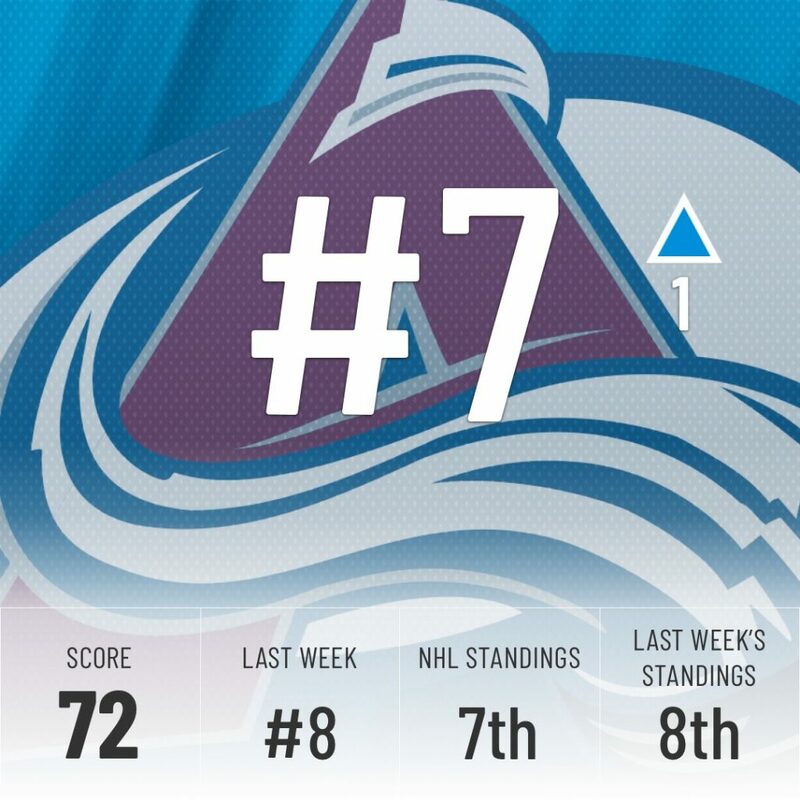 The Avalanche’s biggest need is to find some scoring outside of arguably the best top line in the NHL. Instead of looking to give up assets to fix the problem, Colorado is lucky enough to have Ottawa’s first-round pick. Each loss gives them better lottery odds to find a new superstar in the draft that could boost their secondary production. Just imagine a 1-2 punch of Nathan MacKinnon and Jack Hughes down the middle. That sound you heard is the 30 other teams shivering in fear. After a wildly successful maiden season, Vegas made some big moves in the offseason to bolster their core by acquiring Paul Stastny via free agency and Max Pacioretty via trade with the Canadiens. Stastny has only recently returned to the lineup after missing most of the season due to injury. Pacioretty, meanwhile, has had a slow start with just 10 goals in his first 30. 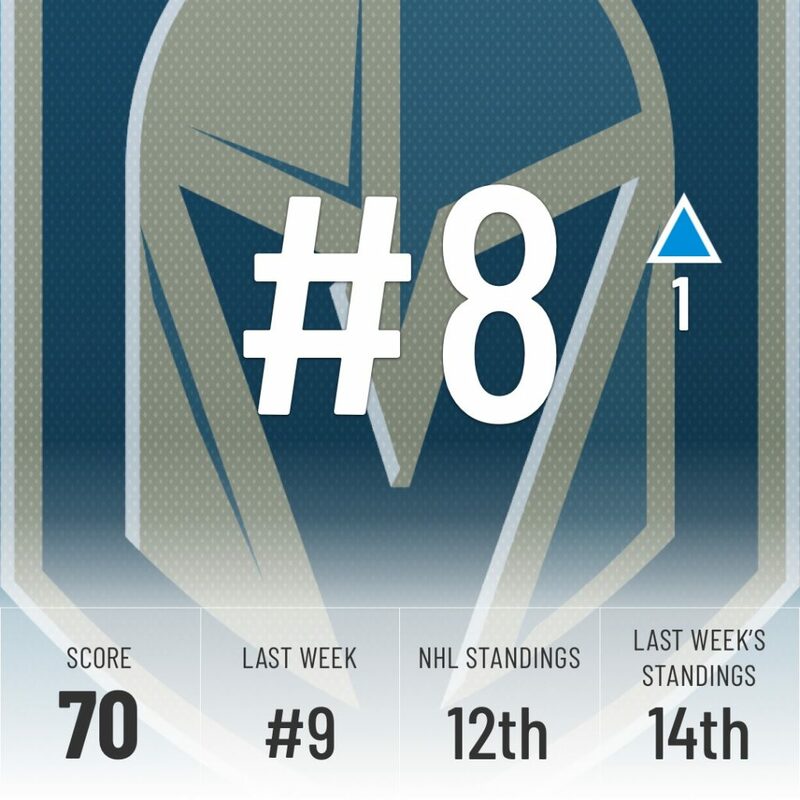 Vegas is still hanging in the top wildcard spot in the West, so having both players go back to their usual form would make them a very dangerous team. Alex Ovechkin has been on fire this season. 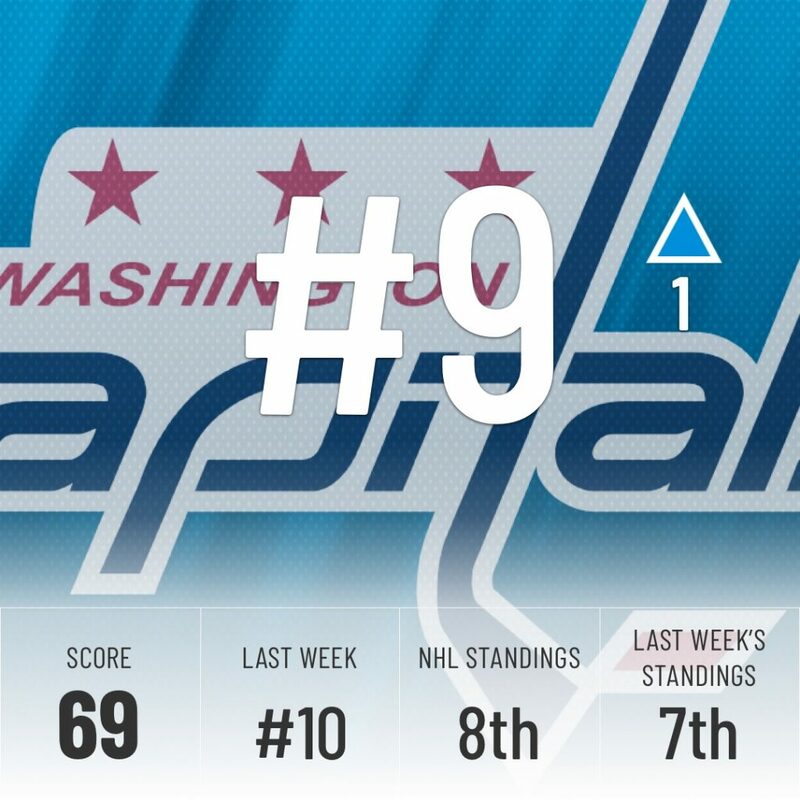 He’s almost on a goal-per-game pace and is helping the Caps stay on top of the Metro division. A heat-resistant stick would allow Ovechkin’s shot to remain on fire for the rest of the season. 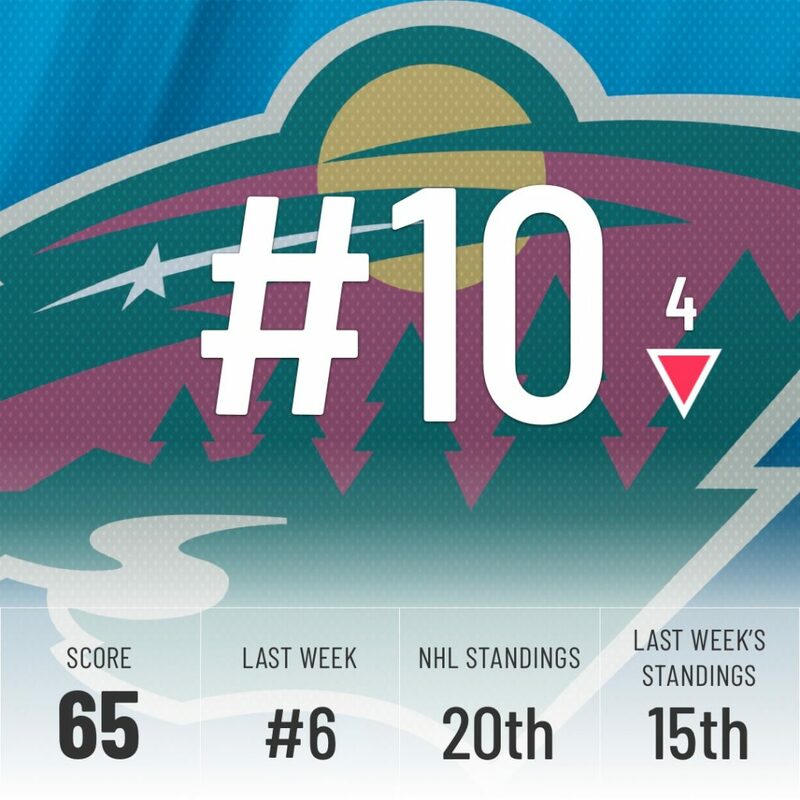 The Wild are an extremely solid team. They’re in the top half of the league in both goals for and against and are right in the wildcard hunt. What they lack is that one player who can take over a shift, a player that you will want the puck on his stick with the game on the line. A game-breaker. They’re not easy to come by and are usually very pricey, but it’s a major need if they want to establish themselves as a true Stanley Cup contender. Boston is the second team wishing for health, and with good reason. 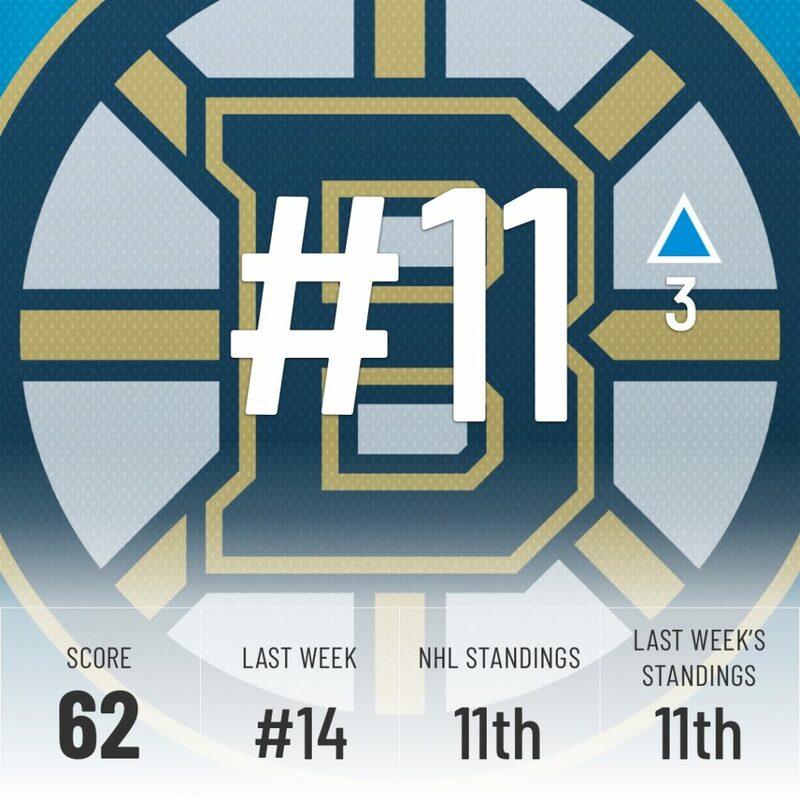 They’ve lost double-digit games from Patrice Bergeron, Torey Krug, Zdeno Chara, and Charlie McAvoy, while Jake DeBrusk also missed 7 contest. If you’re keeping count, those are two top-6 forward and three top-4 defensemen lost to lengthy absences. The fact that they’re still in a wildcard spot is impressive and gives them a very high ceiling once they are fully healthy. Depending on who you ask, Artemi Panarin and Sergei Bobrovsky are either the top trade targets in the NHL at their position, the top UFAs at their position or the two most important players on the team. 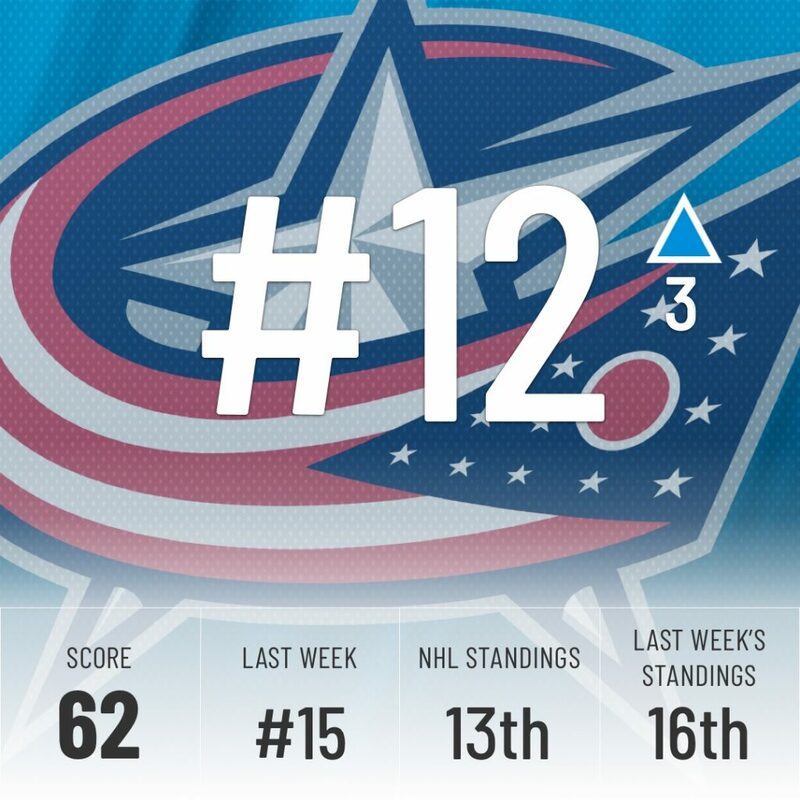 With Columbus on the playoff fringe in a weak division and the uncertainty surrounding their two stars, the team is left in limbo. Are they looking to compete? Are they retooling? Making decisions on both players, one way or another, will leave them with a clear plan going forward. 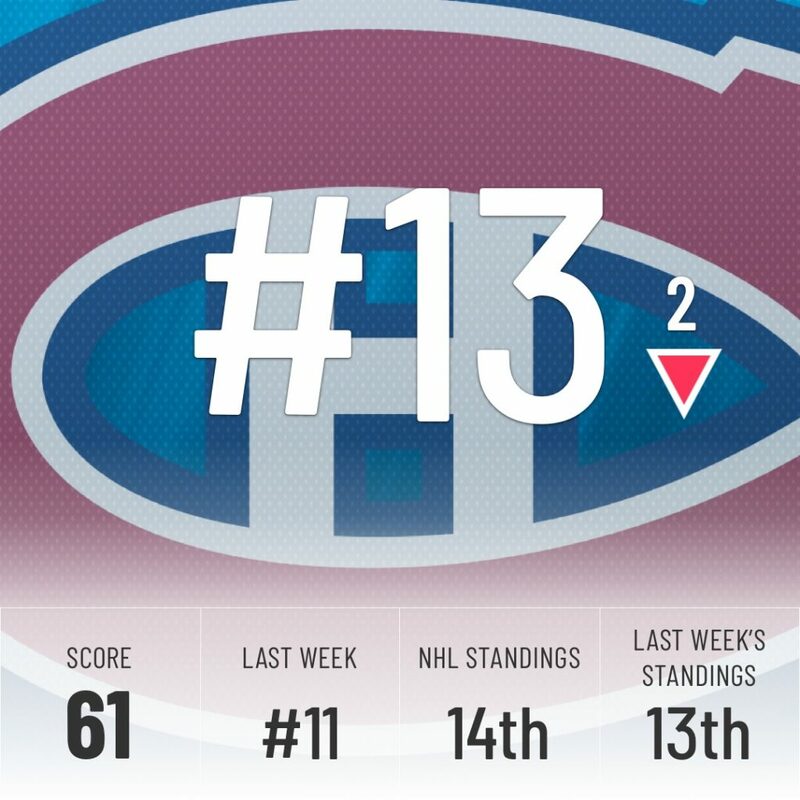 The Canadiens rank 4th in goals at even strength, yet are out of the top 10 in total goals for. Having the league’s 3rd-worst powerplay will do that to you. 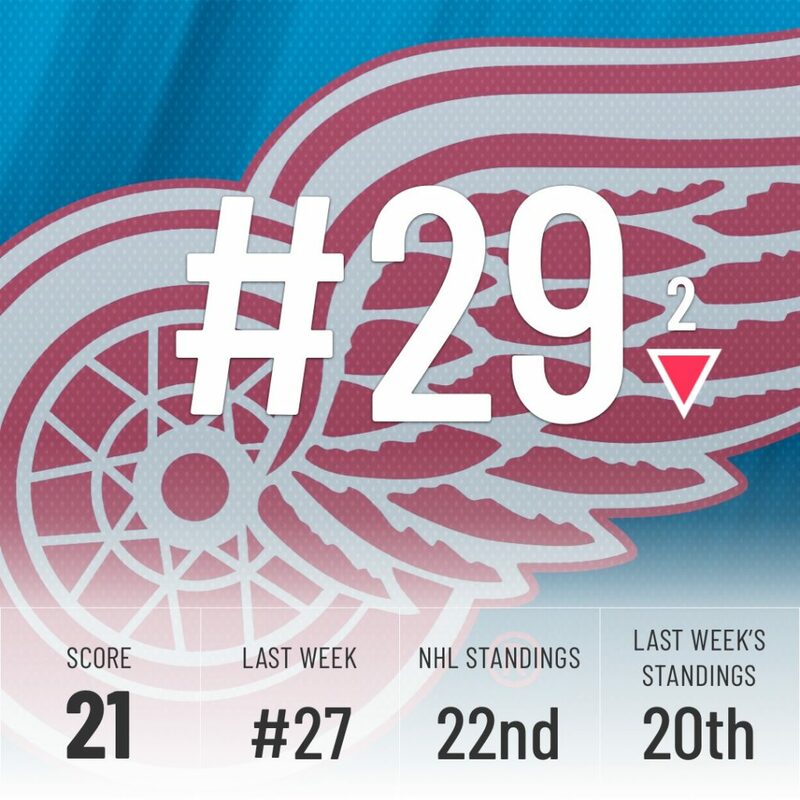 Luckily for them, we’ve highlighted what is wrong with their powerplay this week. All they have to do is fix what we highlighted and send us a cheque when they start scoring. We also take Visa and season tickets. 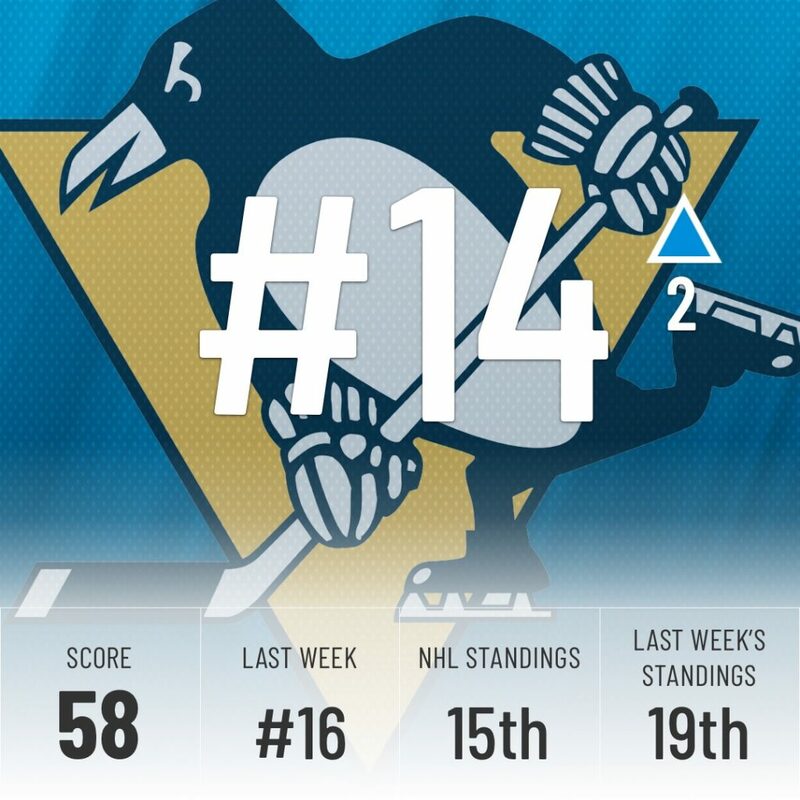 Pittsburgh’s season started out pretty rough, but the ship has been righted since and they’re now in a playoff spot in the Metro. Sadly, Matt Murray hasn’t been his usual self lately. His save percentage has fallen under .900 and he has a mediocre 6-5-1 record. If he can bounce back and return to his 2016-17 form when he posted a .923 save percentage and led the Pens to a Stanley Cup win. Short of that, I guess a time machine to keep Fleury from Vegas would also do. 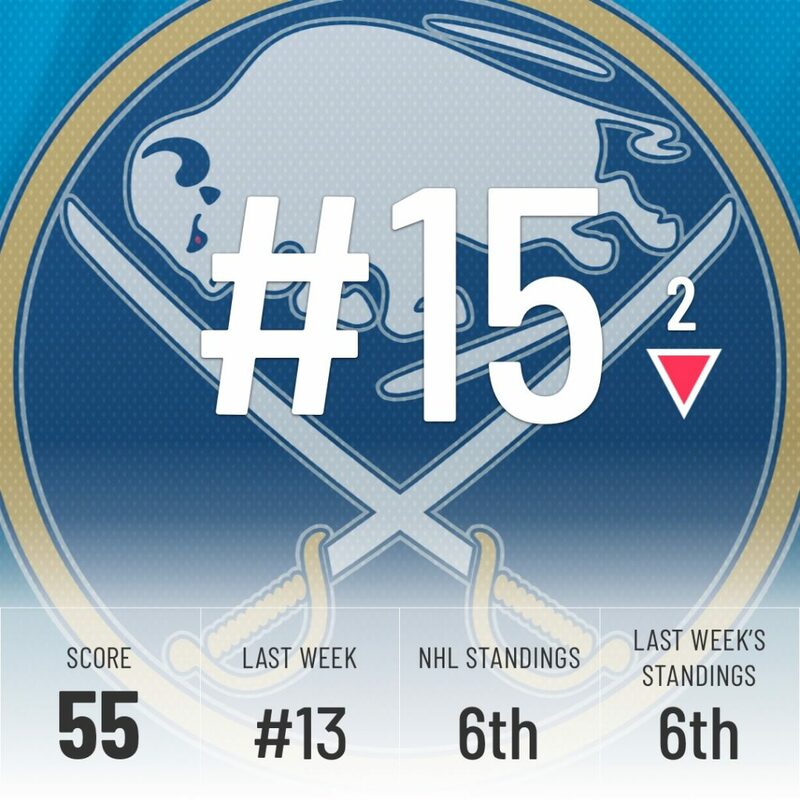 The Sabres season has had unbelievable highs, like their 10-game win streak, and some lows, like the 5-game losing streak that immediately followed. Excitement is higher than it’s been in years in Buffalo with Jack Eichel establishing himself as a legit superstar in the league, Jeff Skinner scoring at will and the debut of Rasmus Dahlin. A return to the postseason would be the perfect finish to what is hopefully the first of many successful seasons to come. 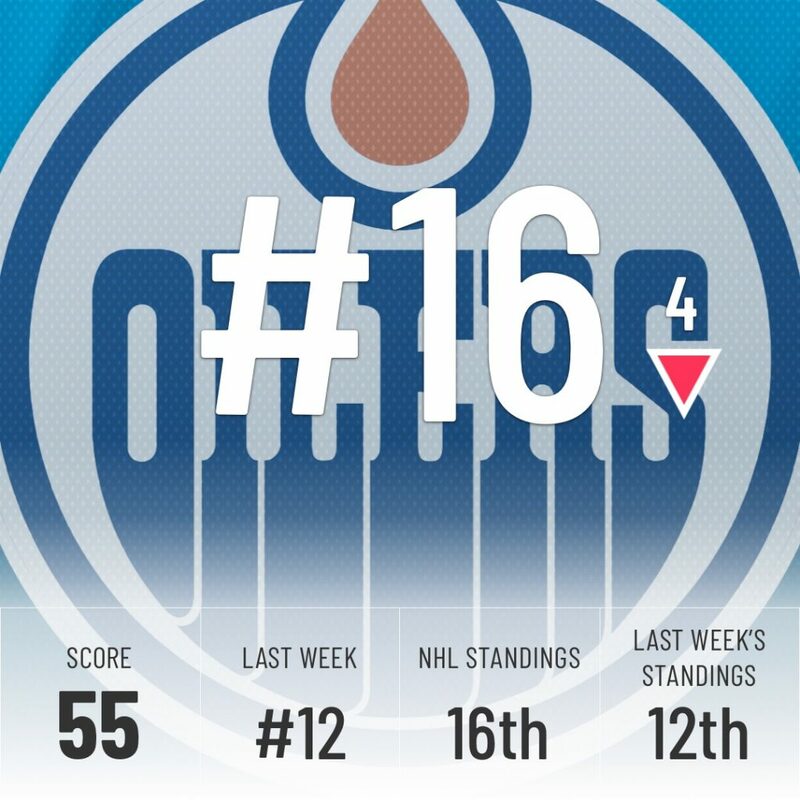 It feels pointless to praise Connor McDavid. We’ve already done so here, here and here. At this point, all the Oilers need is a cloning machine to be able to both rest and play McDavid at the same time. The cap implications might be tricky, unless there’s a loophole that allows clones to play on a single contract. 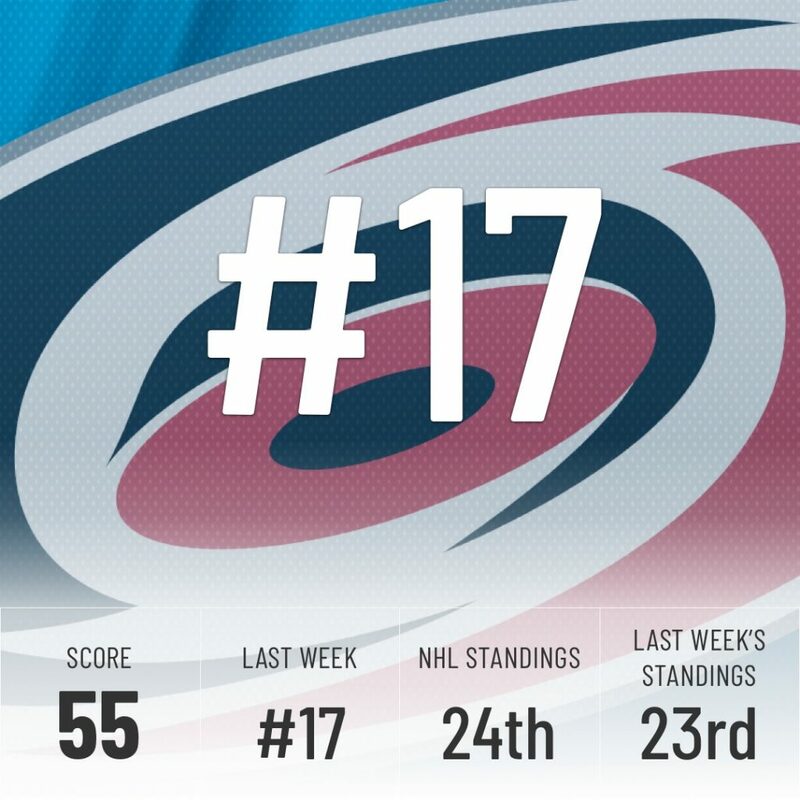 The Hurricanes generate the 2nd most scoring chances and inner slot shots, but they can’t buy a goal to save their life, ranking 28th in goals for. They were rumored to be after William Nylander before he signed with the Leafs and, while they whiffed, the idea remains the same. they need finishers to convert all the chances they get. Vladimir Tarasenko, Artemi Panarin, whatever. They just need some goals for those sweet, sweet 5-4 losses owner Tom Dundon loves so much. 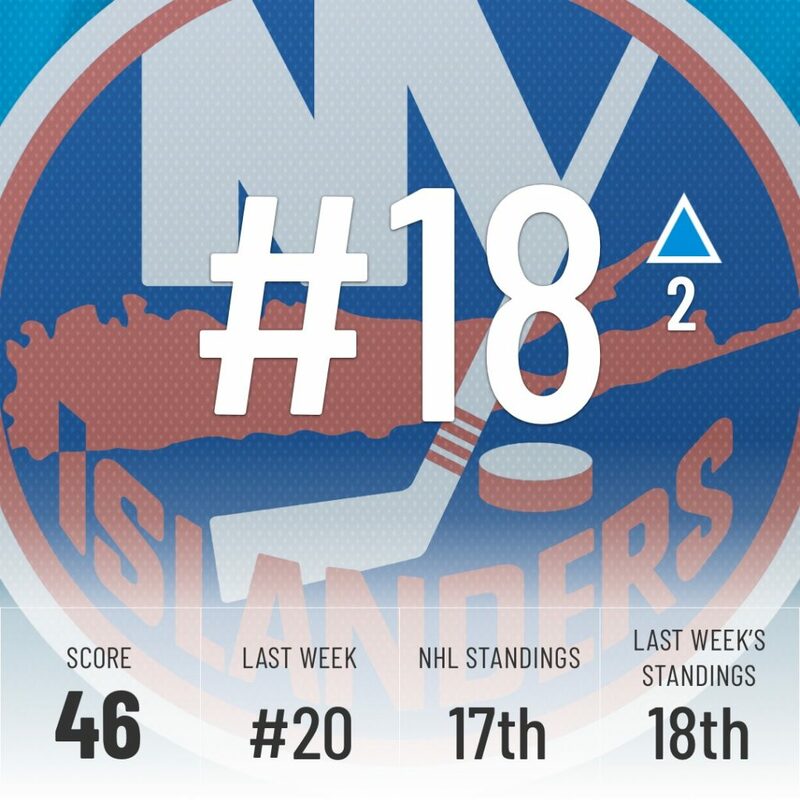 With John Tavares out of town, this became Mat Bazal’s team. The sophomore is performing well and is close to a point-per-game pace, but the goal-scoring has really been lagging behind, with only five goals in 34 games. the team is currently just outside the playoffs, so some extra scoring from their top player would be more than welcome. 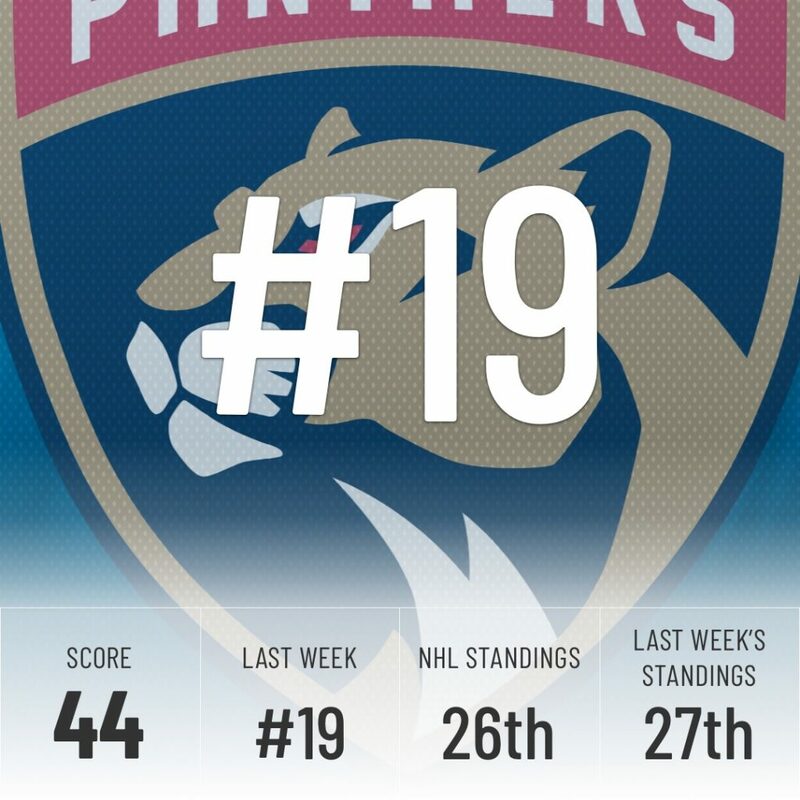 The Panthers are having an underwhelming season and it’s in no small part due to the nagging injuries plaguing Bobby Lou. Luongo isn’t having the greatest season either, with just a .900 save percentage. The backup options have been even worse with Reimer posting .888 and Hutchinson posting a nausea-inducing .839. Any kind of injury to their #1 goalie is a massive blow and, at 39, Luongo isn’t as sturdy as he once was. Some bubble wrap might help. 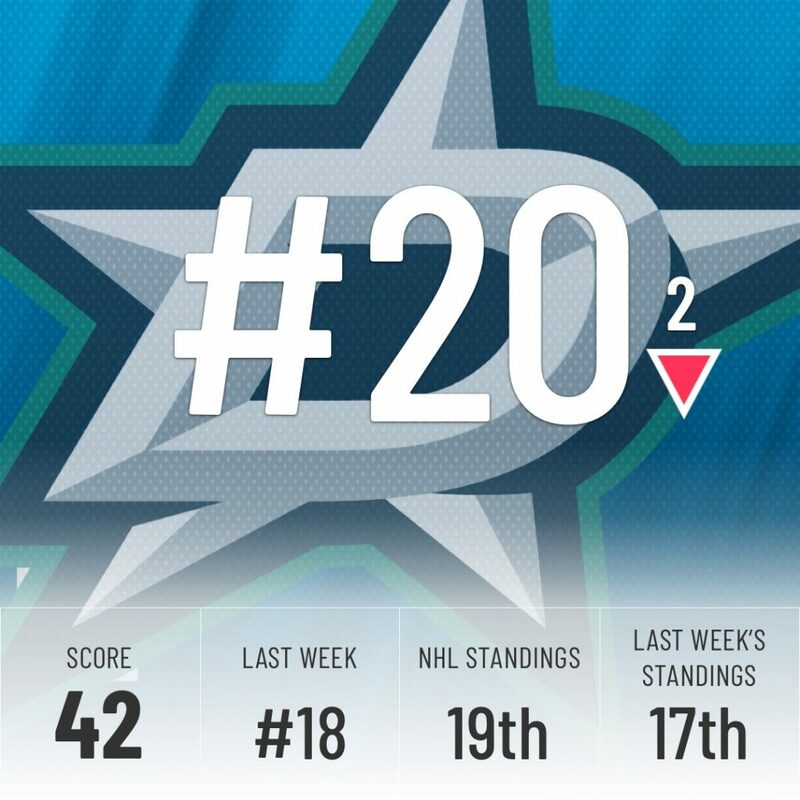 #20 Dallas Stars: Christmas Came Early! The Stars have already received their early Christmas gift when John Klingberg came back from injury last night. 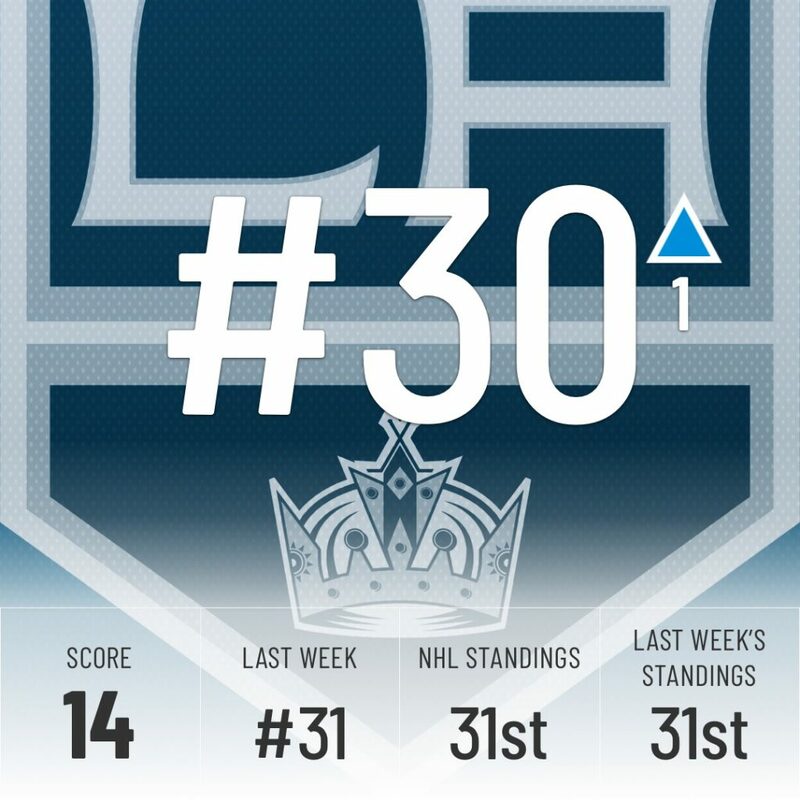 They get their star #1 defenseman back and can now look to push back into a playoff spot. Better performance on the road (6-11-2 road record) would be next on their list, but they can’t get too greedy. 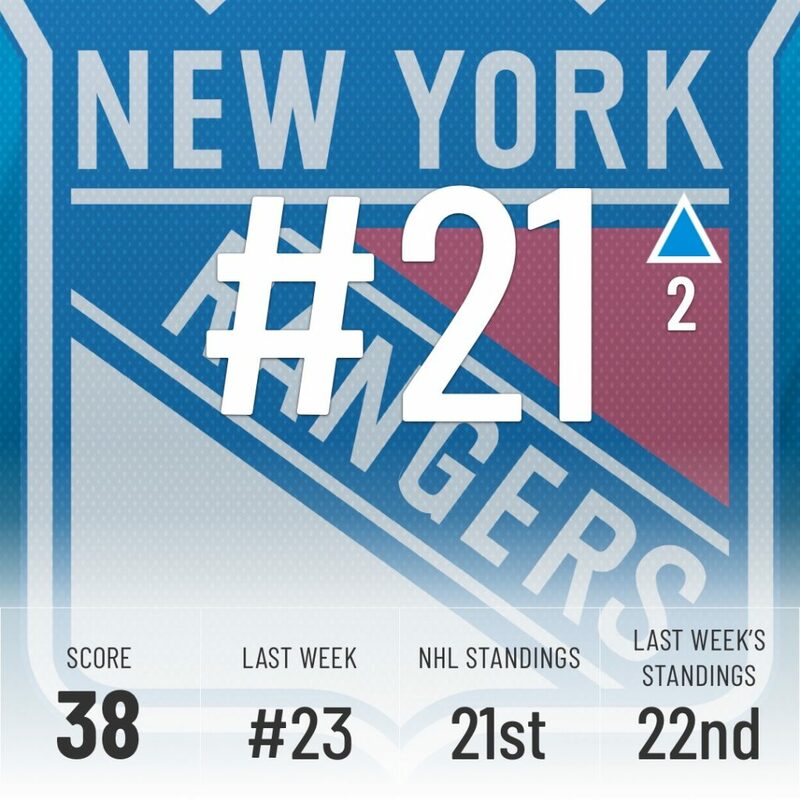 Last year, the Rangers sent a letter to their fans warning a rebuild was on its way. This year, the team is surprisingly close to a top-3 place in a weak Metro division with a number of veterans on the last year of their deal. They can’t afford to stay in the limbo of barely missing the playoffs, which would leave them out of spring hockey but also out of reach of the top prospects in the draft. They need to either make a clear push for the postseason (they shouldn’t) or move veterans for picks and prospects (they should). Kevin Hayes, Mats Zuccarello, and Chris Kreider are among the players who could be playing for a new team come the deadline. 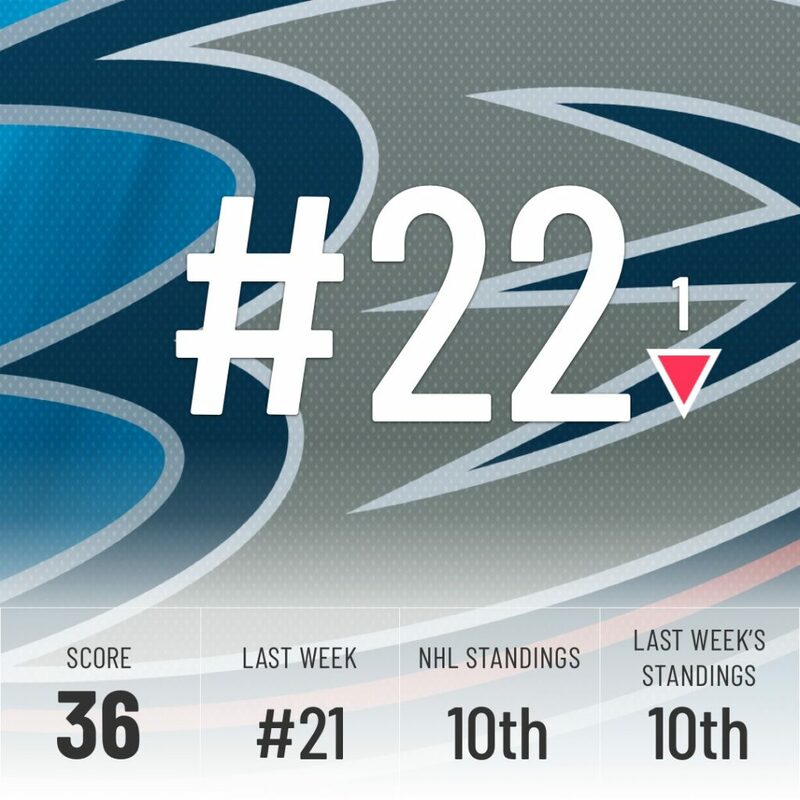 The Ducks came out hot and then tanked but seem to have righted the ship as they’re back in a playoff spot and have seven wins in their last ten games. Here’s how they’ve done it. For the holidays we’re gifting them a broom to sweep away their early season troubles even though the Super Computer doesn’t agree with their current standing. 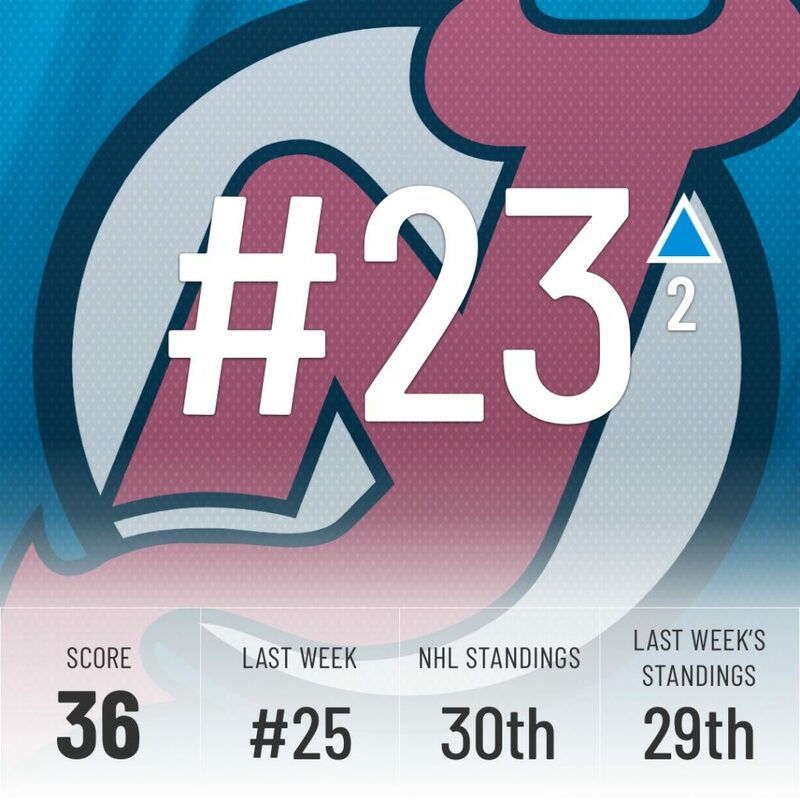 The Devils haven’t had the start they were hoping for after making the playoffs last year with Taylor Hall taking home the Hart Trophy. One of their biggest regrets has to be signing Cory Schneider to his longterm deal. For the holidays we’re giving them an extended warranty on that contract. It’s almost been a full calendar year since his last win and with him being put on the IR the other day it doesn’t look like he’ll be getting one any time soon. 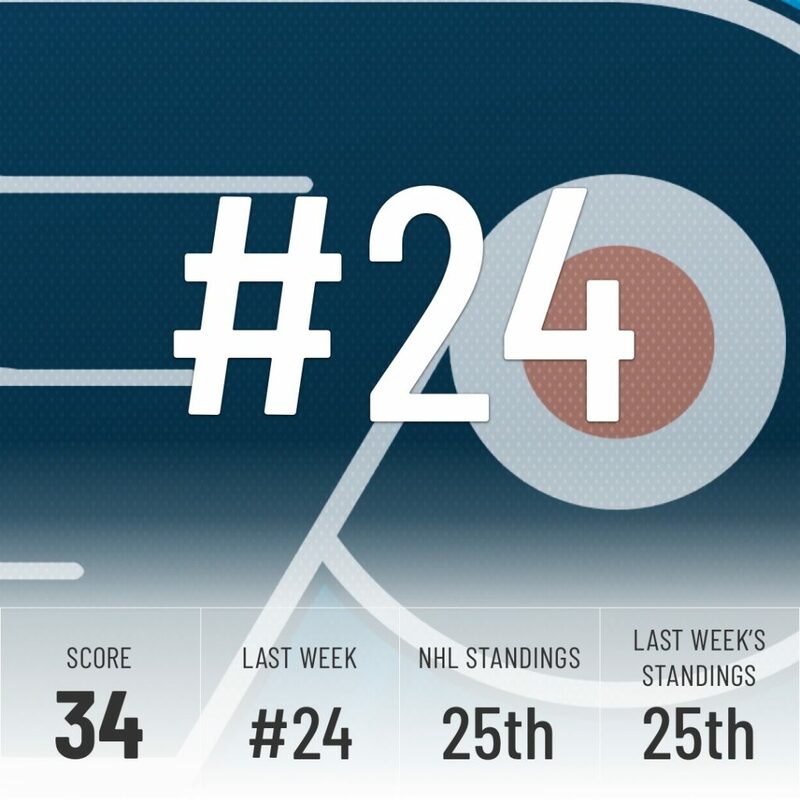 What a crazy couple of weeks for the Flyers. Fired Ron Hextall then hired Chuck Fletcher; the media fired Dave Hakstol then the team did; they brought up Carter Hart, the heir apparent to their crease, then watched him have an amazing start. For the holidays we’re giving them the gift of goaltending where Carter Hart proves to be a stud and solves their goaltending issues for years to come. 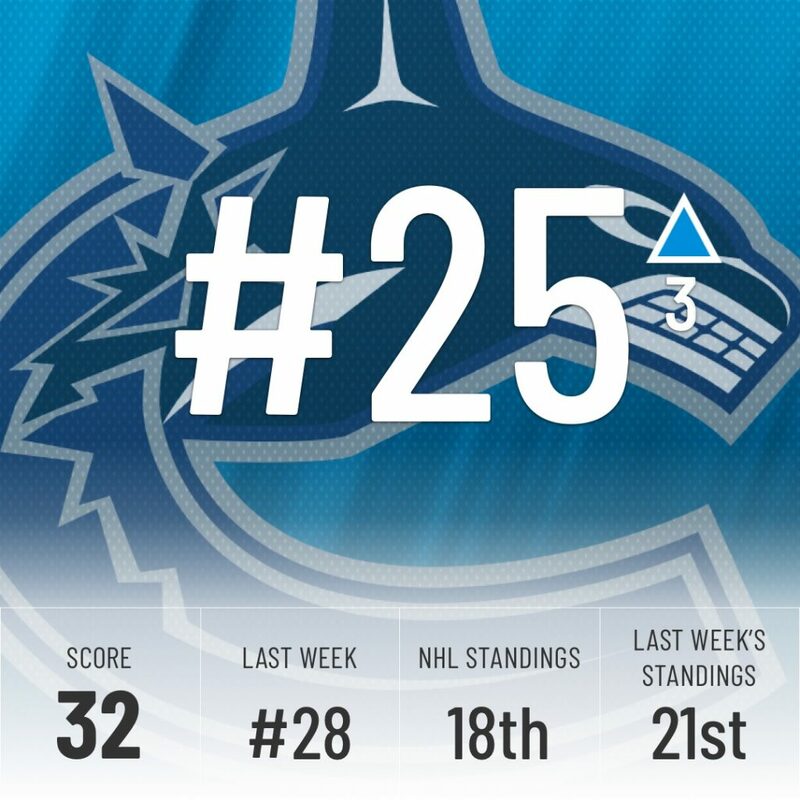 Vancouver’s showing a lot of promise during their rebuild with players like Elias Pettersson, Brock Boeser, and Bo Horvat providing impressive scoring punch from such young players. For the holidays we’re giving them the gift that keeps on giving – more Pettersson highlights!!! 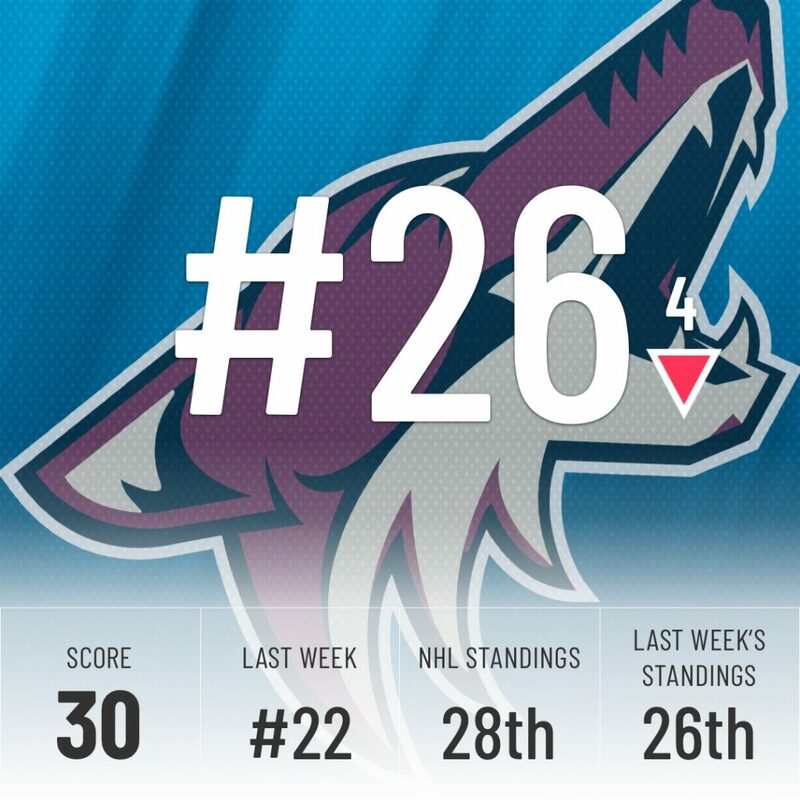 The Coyotes currently have the 6th-best penalty kill percentage in NHL history since the stat has been tracked by the NHL and lead the league with 11 shorthanded goals, which is only one more than their powerplay has managed this season. 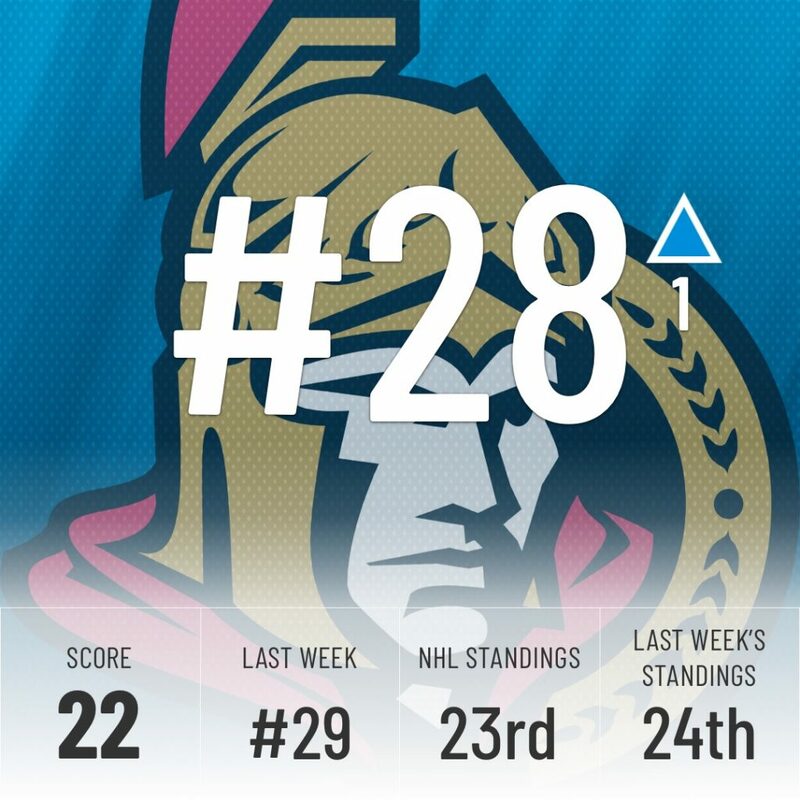 They would love to have some of that special team magic also apply to their powerplay, which currently ranks 23rd. 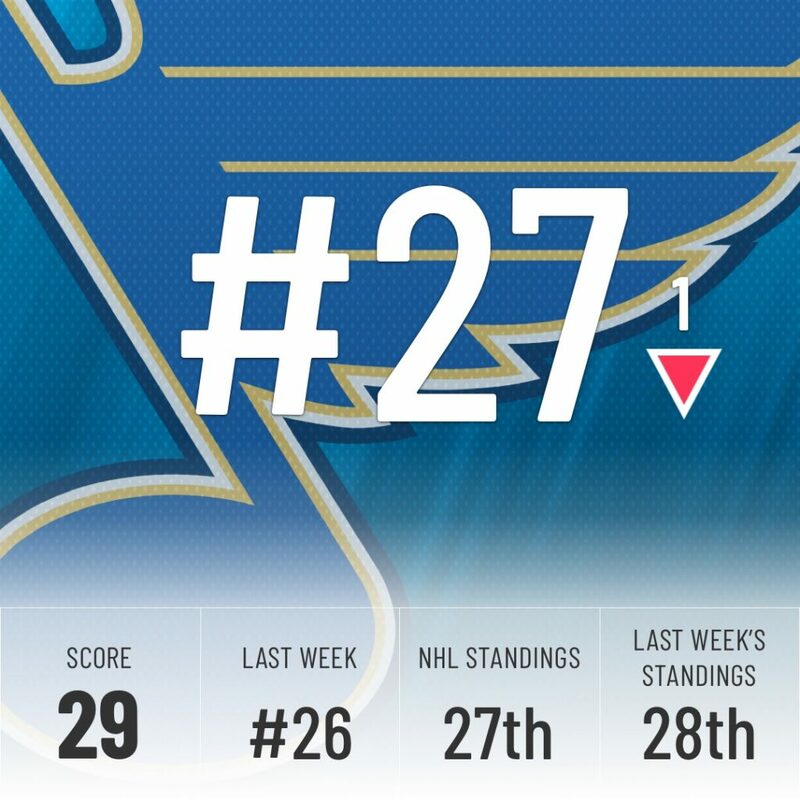 The Blues were expected to be a pretty decent team after their off-season moves. Instead, they’ve hung out at the bottom of the league and haven’t looked like a contending team at all. For the holidays we’re throwing them a big party to reset their minds and hopefully forget the first half of the season. For all of Ottawa’s issues this year, they could make up for it by getting Matt Duchene and Mark Stone locked up long term. For the holidays we’re giving them signed long-term contracts to both players which will help turn this team around. Detroit’s dynasty is over and they’re in a full rebuild at this point (TM). They’ve been shopping Jimmy Howard and are apparently asking for a first-round pick. Seems like a bit of a stretch but he has been having a solid season so for the holidays our gift to them is a team biting the bullet and offering them that coveted first-round pick. For the holidays we’ve decided here at The Point to give them a time machine so they can go back and reminisce about the team that won them two Cups in three years. Chicago’s been riding the struggle bus this year and at this point, the only gift anyone can give them is a high draft pick. Adding Jack Hughes or Kappo Kaako to their lineup will help them turn it around real quick.